Boun giorno Bella! Come stai? What makes your family sit together happily and make you all connected? 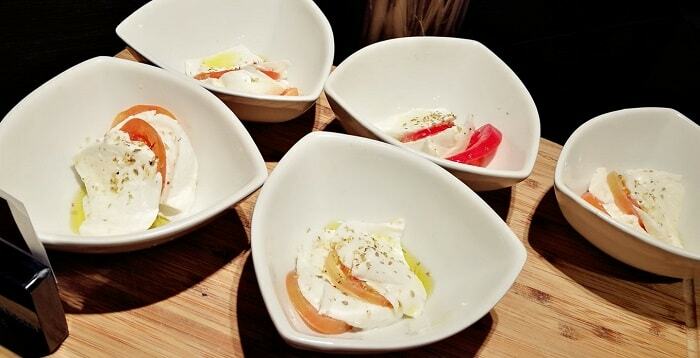 And slowness of course, Enjoying a meal with friends or family is the main ingredients of any Italian dish. No one will argue with the fact that food in Italy is out of this world. Well-made, rich in taste and texture and guaranteed to leave you hungry for more, there’s nothing quite like Italian cuisine. 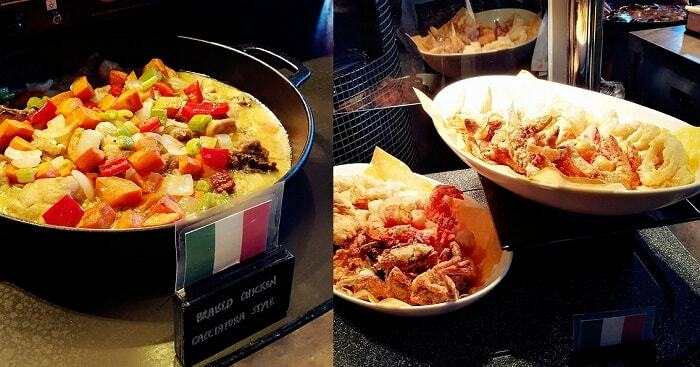 And similar in the Philippines, food is very important in the Italian culture. Italian Moms or Grandma or Auntie will serve you food like there is always a feast because they always think you are under-weight and you need to eat, and that’s normal. Italian folks loves to see their famiglia eating together and enjoying every bite happily. 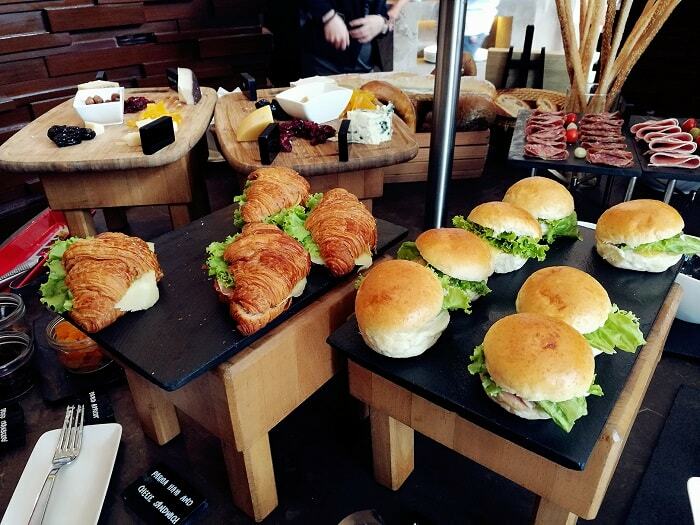 If you’ve been in Italy, you would know that the best meal of the day is lunch. The Italian lunches is the best and unique that could experience at least once. Italian lunch usually starts at 12noon and 1:00PM, and can last literally all day, sometimes even until dinner time. It’s the main occasion to bring the extended family together, and the only time all courses are included. In Italy the main course is usually split in two, primo and secondo (first and second courses). Primo consists always of pasta, risotto or a soup like minestrone. Traditionally, pasta is freshly hand-made on the same day. 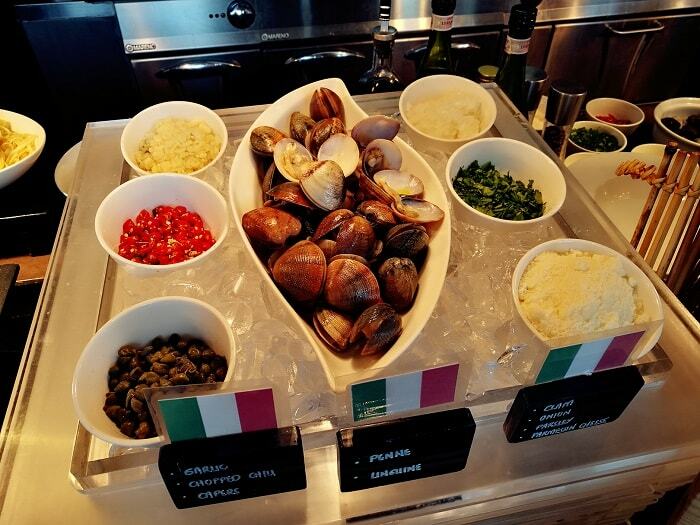 Secondo varies from region to region but is usually based on meat or fish, with countless side dishes. Usually at family gatherings it’s all about traditional local food. This means the food will be excellent, locally sourced and tested countless times. 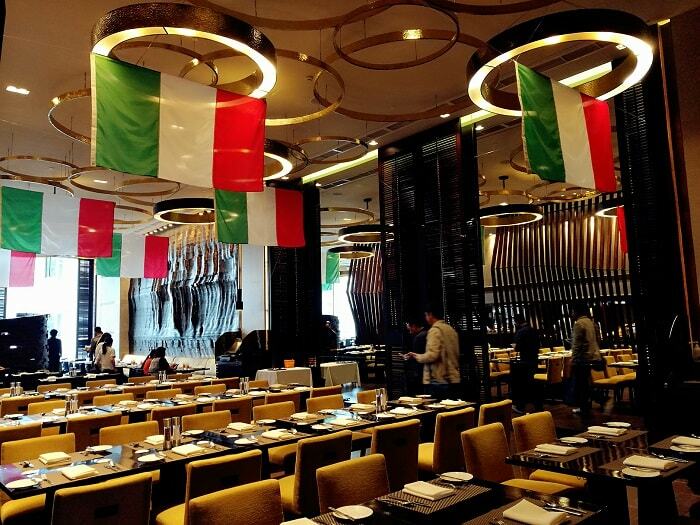 This month of June, Marco Polo Ortigas Manila showcasing a grand Italian festa that brings the true staples of the beautiful Italia for the Italian holiday—authentic food, rich culture, and impeccable art. 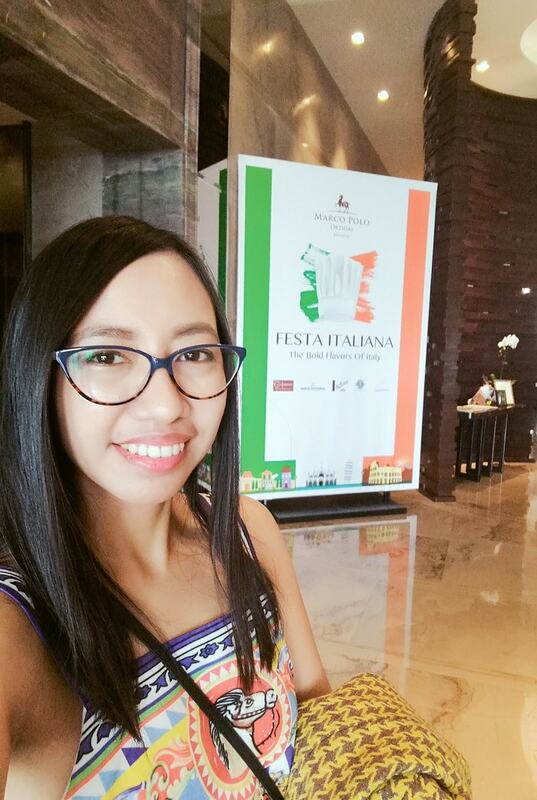 Last Saturday, we’ve got invited to celebrate an Italian lunch festa at Cucina Marco Polo Ortigas Manila after the Master Cooking Demo with Chef Andrea Delzanno. 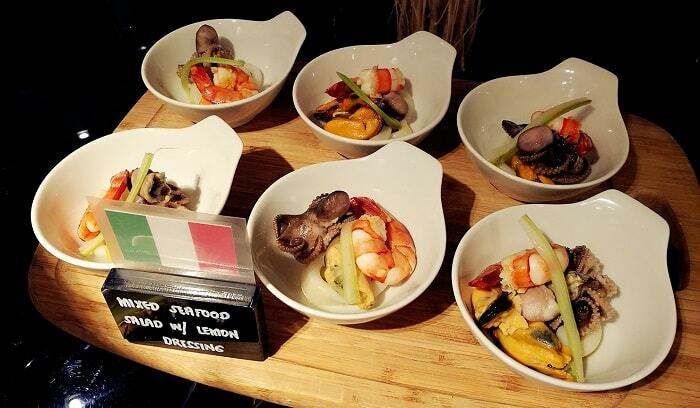 Together with his Filipino team, they’ve served us with these heart-warming Italian foods the way Italians do it. 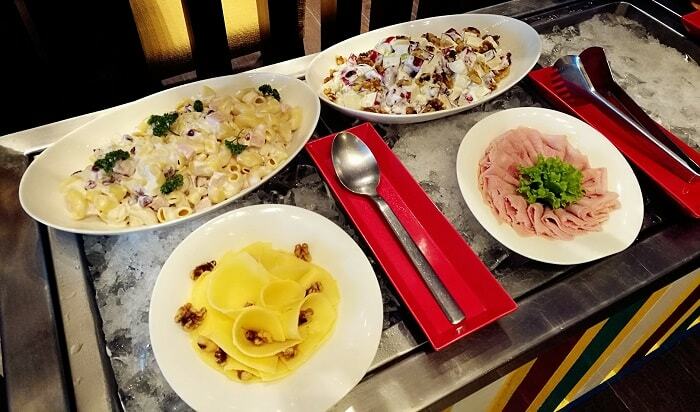 As he comes over to head the five-day-long Italian promotion with passion and culinary magic, discover a bold palette of flavours from a great variety of fine ingredients at Cucina, from June 7 to 18, for lunch and dinner. 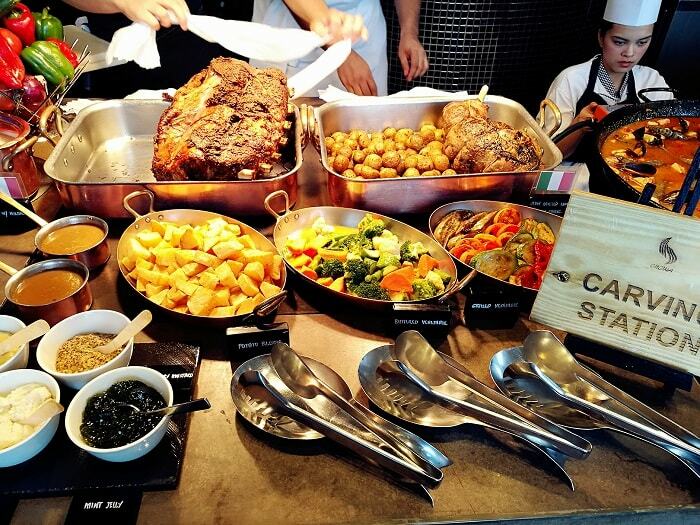 Feast on a selection of antipasti such as Parma ham and melon, and tomato and mozzarella caprese; roasted lamb rack with garlic and herbs, and stewed chicken cacciatora style, cooked the most Italian way. 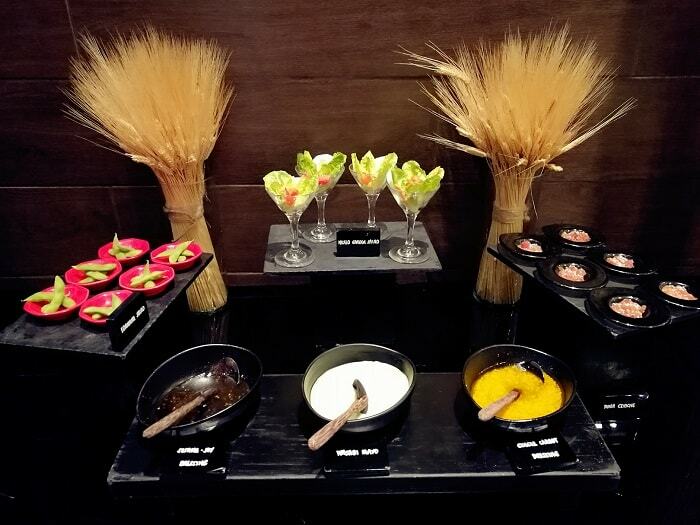 Fine risotto with mushrooms, and penne black truffle cream sauce will also be included in this sumptuous spread. 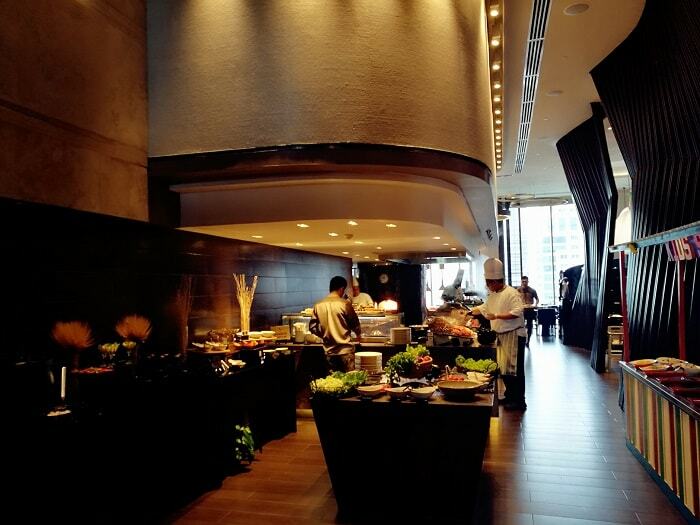 It could be also perfect place to celebrate Father’s Day at Marco Polo Ortigas Manila! Explore a culinary journey to the heart of the Mediterranean, with the bold palette of flavours of the beautiful Italia this June 7 to 18, 2017 at Cucina. Feast on pizza, pasta, and tiramisu—Italian treasures for you to discover, and love even more. Molto Grazie Marco Polo for the wonderful invitation. Never missed it. It would be fantastic experience for you and your famiglia. The Molto Grazie Marco Polo restaurant looks like they have amazing food. Love the buffet style. Molto Grazie Tasheena! Yeah and my tummy was so happy too! My mum is Italian, so I grew up with a love for Italian food. This place (and your photos) looks amazing! I'd love to go one day. Thank you Christie! When you go Italian, hating food is a sin! Food is art. It is what unites people. It is what makes the world go round. I've had the pleasure of tasting Italian cuisine once and this post is making me long for a second dose. Ohh that's what I feel too. If I will have a second life, I would like to be an Italian. Oh! my fasting month temptation. I need to go for Italian menu tonight. Oh its okay. You can always go Italian food after your fasting. Oh you are so sweet, thank you Samantha. And let us know your favorite Italian cuisine on your next post. All that food looks awesome, Italian food is amazing. The buffet style looks awesome and the photos are great. I'm sure you had a great time. Yeah that's same what my Italian boyfriend always telling me. Life is so easy.. but he doesn't like it much. He is workaholic. Wow, I've loved Italian food & this seems to be such a great destination for me! Yeah, Chef Andrea is such a talented cook. I love his foods a lot. Wow! This is absolutely sensational and I wish I was eating this spread right now! I love Italian food the most! What is you most favorite Italian food? Nice place to celebrate Father's day. Will bring my father there to enjoy the delicious lunch. This is a great variety of food! Oh my my..! All these food looks delicious. I like the Italian culture. It is hard to resist. I haven't meet anyone who doesn't like Italian foods. Love it a lot babe! Yeah, you'll know its Italian when you have to enjoy the food for long hours, just sitting, eating and chatting with friend and family, until the next round. Its amazing and so relax. Yum! I love Italian food so much. I'm always happy to check out places with Italian food. This looks scrumptious. Maybe that's one of the reason why I love my boyfriend a lot. Wow that's such a spread. I wouldnt have known where to even start. Thanks for all the pictures too. You are always welcome. I hope I made you hungry, LOL seriously. Wow! What a presentation! 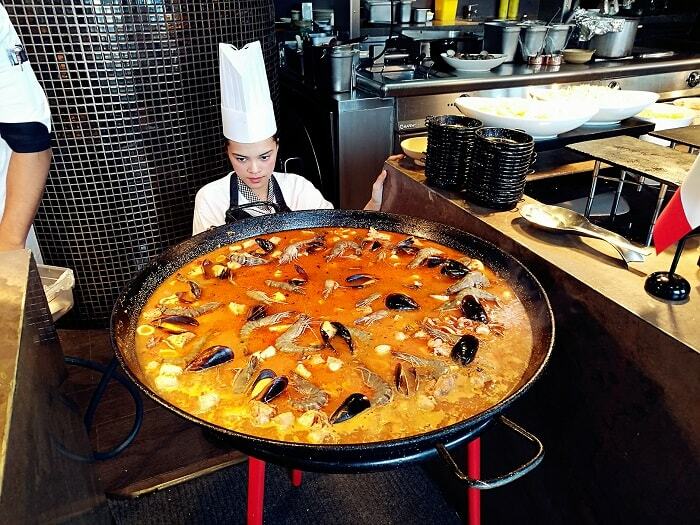 The Paella looks awesome. I love your glasses Blair. It's a good look for you. Thank you dear! I have to wear it or else I wouldn't recognize whose waiving at me. Sorry I made you hungry again Wai Yee. What a great italian feast, I'm drooling all over my keyboard! Looks like you had amazing food and a great time! I am and am so lucky to enjoy the first dibz! OMG, I would just die and go to heaven at this place! The food looks simply amazing! And while authentic is great, fusion is always wonderful too! One thing that I haven't tried that time is their wine. I need to come back and enjoy it! This place looks delicious! I love Italian food, I would love to check this place out. 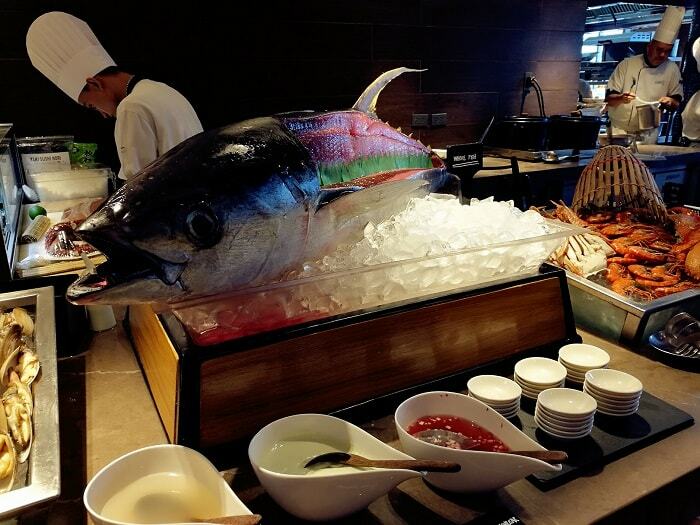 You are always welcome here in Marco Polo Ortigas Manila! This post made me hungry! Everything looks so yummy! I love Italian food and the slow-paced family-oriented dining style. Family + Food = FUN! Your images are making me so hungry. Definitely interested in participate in this. Thank you Anonymous! You are so sweet even you are hiding! Come to papa now! Oh my God! The food! The food! I am sure you had a great time there. I am! 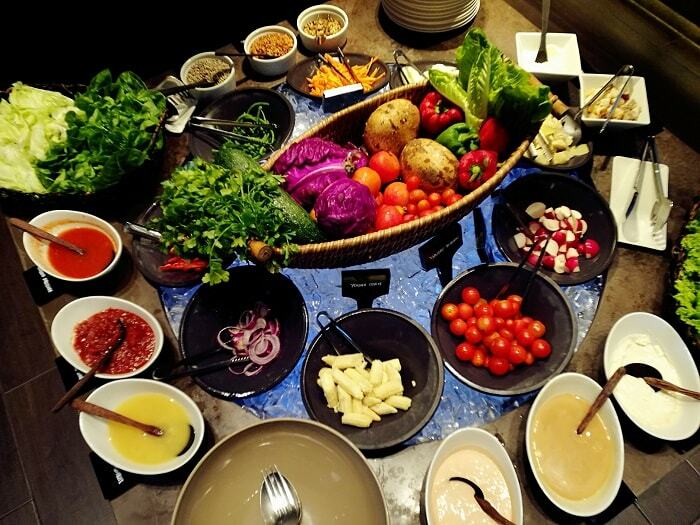 Oh now I feel like I want to go back at Marco Polo and have my feast part 2.
the food looks so yummy! !make me hungry now!! Sorry but not so sorry babe. Food is life! The food looks reallyyy delicious. Thanks for sharing! You are always welcome here Iman. as an Italian myself I must say I am very jealous and all of this food looks amazing!! Thank you Tiffany. Which part of Italy are you? This place looks amazing and the food so yummy I bet you enjoy a lot, for sure if I had the chance I would love to visit. Seriously felt in love with the seafood and the rice, well everything I am not going to lie. Hahaha thank you Lorena, okay okay they are so delicious I know you are feeling hungry now. Beautiful mix of flavors and there's definitely nothing like Italian Cuisine. I'm glad you had an amazing time there! It's worth going to! 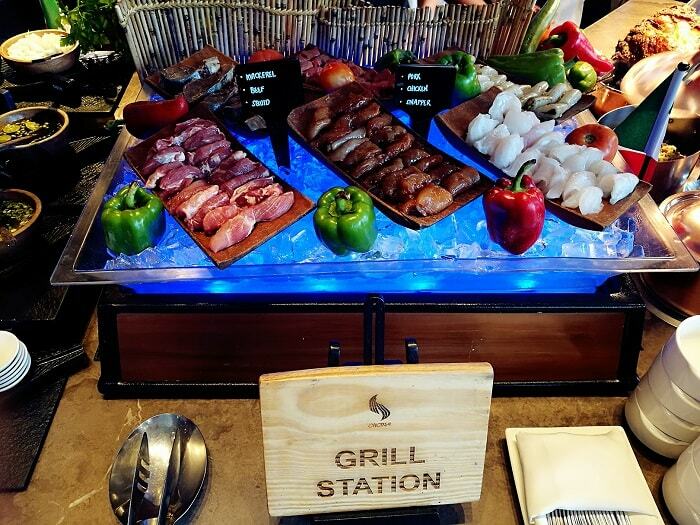 I wouldn't leave the grill station probably if I go! Great Pictures. 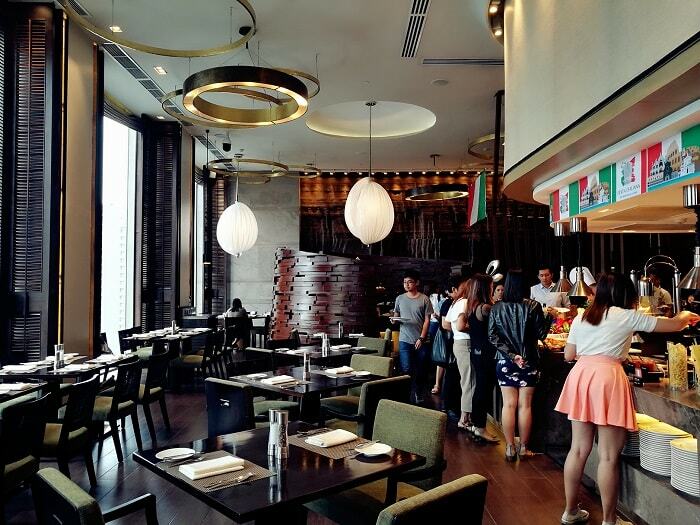 I love the Italian cuisine and would love to explore this restaurant. 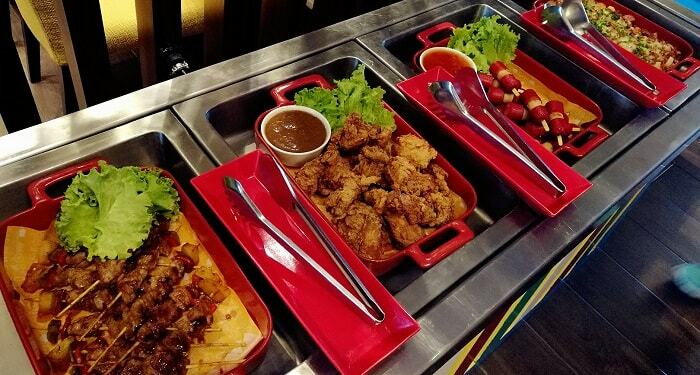 Your pictures speak for itself how delicious its food is! Thank you Ana. I am continuously inspired with your very kind comments. Oh you must try it during Sunday's lunch. You'll LOVE it AF. 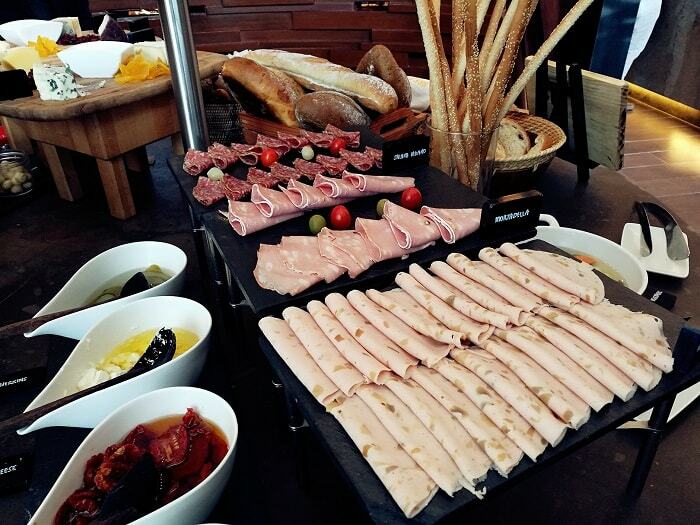 All those antipasti choices look delicious! This is definitely a place where I'd pig out! Yeah and always be ready to have an full tummy when you leave the restaurant. Wow! What an amazing array of food. I am getting hungry just looking at the photos! OMG Thanks Kelly. Keep on exploring my page for more foodie post. But grab yourself with some crackers because my page is freaking will make you super hungry. All the food looks so delicious. Great place to dine. Great photos. Glad you visit again dear! What is your most favorite Italian food, aside from pizza? We are big lovers of Italian food. I love your photos. This looks like an amazing place. That giant fish is scary! This is a foodie's dream! I don't eat meat anymore, but I can never say no to a delicious dish of pasta! Me too. I ate less meat, but when I go to Italian restaurant, everything is gone. Thanks Nadine, time to visit your nearest Italian restaurant now. Oh wow look at dish portion! Can I just have it all, would definitely want to visit this awesome Italy Restaurant. Let me know if you'll visit Manila. I'll take you there! All the food looks appetizing! Quite a big spread there. But I am a small eater, would be tempting me too much. Wow- What an amazing selection of goodies! Everything looks delish! 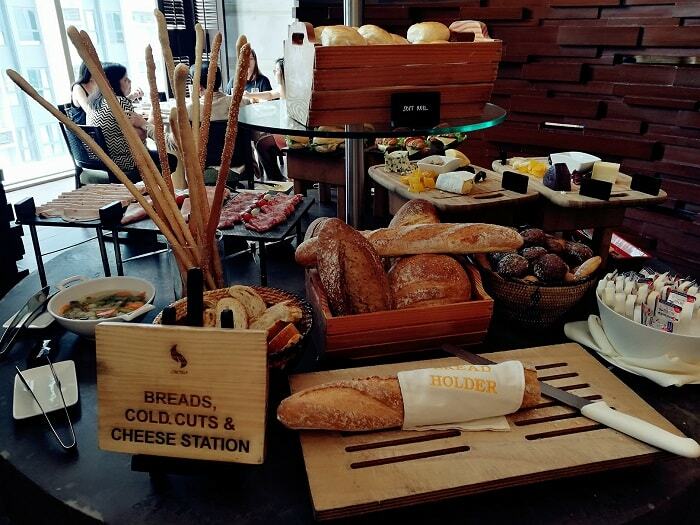 Such a scrumptious buffet spread, i wish to go back to Manila soon. Oh you better stay at Marco Polo Ortigas. They are awesome. This restaurant looks awesome. I have a friend who loves italiano good, she's gonna love to read this article. That's great then! Oh many your friend is a good cook too. You are right! What are your top 5 favorite Italian cuisine? Wow, you're so lucky to be invited! I've lived a few years in Florence and seeing this makes me absolutely 'homesick'. It must have been delicious! Un abbraccio! Oh that's great Nena, I am also dreaming Florence and enjoying its traditional food, and experience market shopping. They say it is fantastic experience. Yeah I went home with a full-tummy! I visited in Italy a few years back, and the first part of your post reminded me of my gastronomic experiences there. On another note, I should have read this post before I last visited Manila, almost an year back. The restaurant is amazing, and that looks tasty. 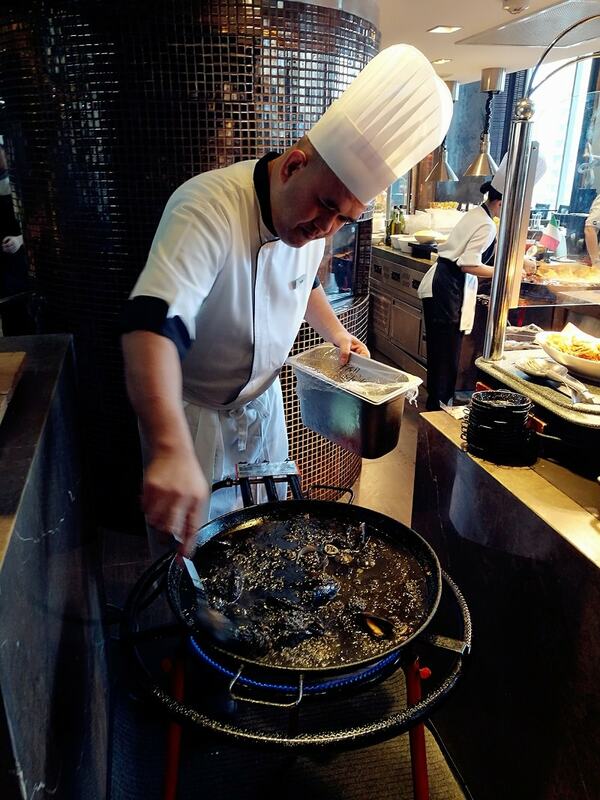 Italian food is not always the real ones everywhere, but we are glad you find the real taste on it. Yeah, more reason I want to visit Italy because only from Italian homes and kitchen you will experience authentic Italian cuisines, and hospitality.